Every girl needs a great cosmetic collection in order to make herself up however she likes. This means that she should have a wide selection of eye shadows, lipsticks, eyeliner, and blushes. She should also have a good foundation and powder to even out her skin tone. You can find a majority of these items at your favorite online beauty store. Other things can be found at a variety of places like drug stores or even the art department of your local crafts store. One of the most important items of a girl’s cosmetic collection is her brush set. You should invest in high quality brushes because they are the tools of the trade! All the best makeup artists swear that you need a minimum of several brushes in order to achieve a really great makeup look. 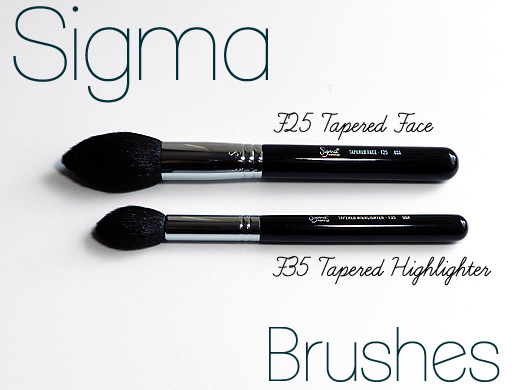 Some of the best brushes come from cosmetic brands such as Sigma Beauty Brushes. This are incredibly well made products that will last you years to come. However, if you find yourself on a budget, then head to your local crafts store. You can pick up makeup brushes in the paint aisle! They come in all shapes and sizes much like what you find at the beauty store, but a fraction of the price. When it comes to quality control, these brushes are not to shabby. However, these are the only things you should be buying from the crafts store for your makeup collection. No glitter allowed! When it comes to selecting your eye shadow palette, then just have fun. You will need the classic browns, blacks, and neutrals to form the base of your collection. 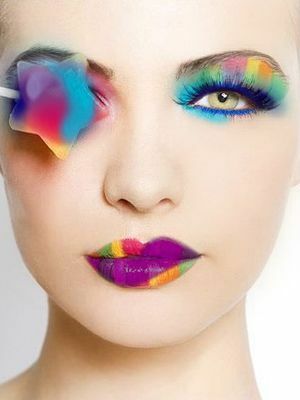 However, do not be afraid to choose some wild colors to accent your look as well. Think outside the box when it comes to choosing colors that you will buy. For example, pinks and lavenders look great on blonds. Blues and yellows look lovely with brunettes. Keep your coloring in mind when you buy complimentary eye shadows. When it comes to skin care products, every girl needs a wide array of things that will keep the skin looking healthy and refreshed. Products from top brands such as StriVectin, Luzern, or Butter London are well known for their ability to transform even the dullest looking skin. Once you have the backbones of your cosmetic collection, then you can begin investing in more fun items like bronzer, lipsticks, and lip stain! Getting that perfect skin that everyone wants is not something that is easily achieved. For some, genetics play a large part in their skin type, texture, and overall quality, for others, environmental elements can take decent skin and make it a disaster. There are a few ways that you can use cosmetics to both improve the look and quality of your skin without investing large amounts of time and money. There are tons of great cosmetic brands out there that cater to problem skin types and there are also a few tricks you can use to camouflage trouble areas. The first thing that you should consider prior to investing in any makeup to get clear skin or to cover up flawed skin is actual treatment. StriVectin is an absolutely fabulous brand that caters to several different but incredibly common skin issues. They make wrinkle creams and serums, products that even out skin tone and remove dark spots, products that increase moisture and decrease oil, and much more. Using products that have been proven to work to help improve your rather than simply cover it up is a great way to get your skin looking perfect. You can buy these cosmetics online from Luxola or the brand site. Luzern is another great product that can help take care of typical skin issues. This is an organic brand that features products that are cleansers, toners, anti-aging products, skin soothing products, and more. This brand is absolutely wonderful if you have problem skin or sensitive skin and need something gentle to help calm and change the properties of your skin. If treatment or creams is not for you or if it is just taking a while to get your skin evened out you may want to consider how you apply your makeup to your problem areas. Using something like Sigma brushes to blend your foundation completely or to add concealer in only the places that you need it is a great way to keep the makeup to a minimum while still getting a great air brushed finish. While applying makeup with your hands is a quick way to get it on, you can use a brush to blend the makeup seamlessly which takes focus away from problem areas like wrinkles and acne marks. If you are certain that applying makeup by hand is the only way to get on your foundation, you may want to look at some hand skin care products from a brand like Butter London to keep your skin from getting dried out by the makeup you use.